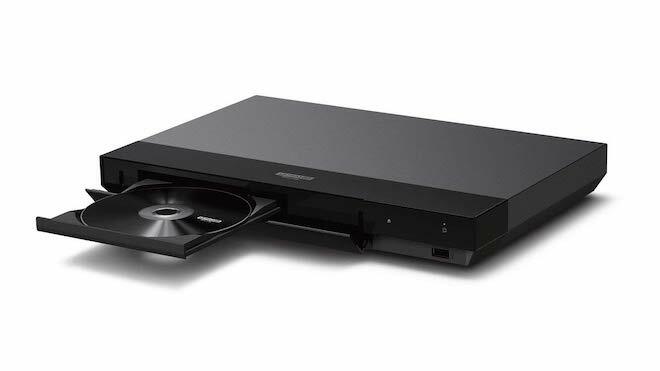 Yes, you're still going to want a physical 4K UHD Blu-ray player in your home theater setup for a number of reasons. 4K Streaming looks good, but if you have a bad connection or internet is lost, you're up Schitt's Creek without a paddle. Not only that, there are many other issues that will hinder the true nature of streaming 4K imagery and audio. Also, some of your favorite films might not be available with some of the streaming services, but are in physical media, which comes with great artwork, booklets and, sometimes, collectible SteelBooks. 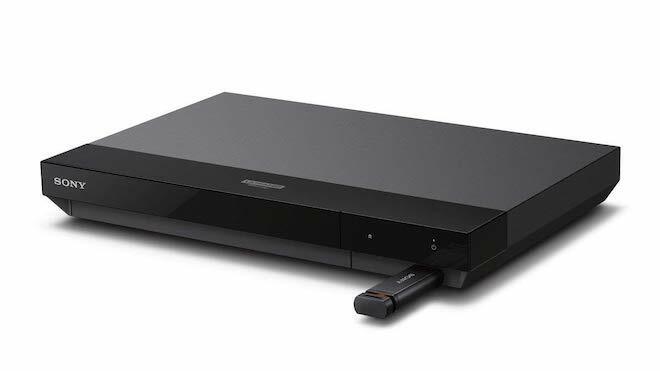 The Sony UBP-X700 4K UHD Blu-ray Player is a more affordable option in this market that packs options you'll find in more expensive players. It has Dolby Vision, HDR10, 3D, SACD, streaming apps like Netflix, Hulu, Vudu, and Spotify, along with wireless capabilities and more, which I'll get into below. 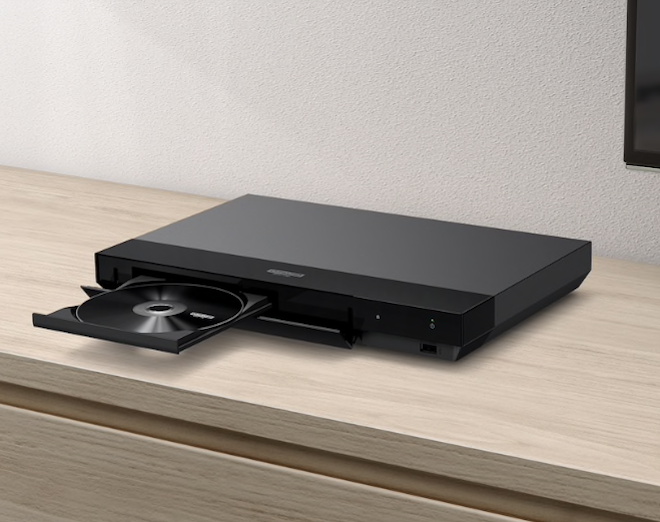 Is this the right 4K Ultra HD Blu-ray player for you and your money? Let's find out. If you've purchased an upscale 4K Ultra HD Blu-ray player before, you'll know that most of those units are metal, large, and kind of clunky. The higher-end Sony UBP-X800 is the same way, but this X700 is lighter, smaller, and looks a bit cleaner in my opinion. It measures in at 12.6 x 1.8 x 8.5 inches and weighs about 3 pounds. Instead of a metal casing, it's a sleek, polished black plastic material that looks excellent. On the front panel, there is a hidden disc tray and a touch sensor button for Power and Eject. Below that is a USB port. There is no LED display, which is odd, considering the price. I still like my players to read the time and actions. The rear of the unit is simple enough as well. It contains two HDMI ports, one for video and one strictly for audio. There is also a coaxial digital audio out and an ethernet port. Again, this X700 has wireless capabilities, but lacks a Bluetooth connection, meaning you won't be able to connect Bluetooth enabled speakers or sound bars. Lastly, comes the power cord, which Sony annoyingly makes larger than most, which can be difficult to place when plugging into a big power strip. The graphic user interface is easy to navigate, and where you download streaming apps, set up your internet connection, plays discs or insert your USB stick and listen to music or look at images. Startup time for a 4K UHD Disc is super short too. The remote is light and plastic and is smaller than your hand. It's just slightly longer than the AppleTV remote and is not backlit. There is a dedicated Netflix button, TV volume, subtitle, audio, and home buttons. You can also download the SONY app called Video and TV SideView on your iPhone or Android and control your player through your phone. You can also adjust the video and audio settings through the X700 as well. The audio defaults to Auto, which will take care of all your Dolby Atmos or 7.1/5.1/2.0 needs automatically. I popped in HBO's Westworld Season One to see how it stacked up with its Dolby Vision. The load time was a quick two seconds. The show's first season was shot entirely on film and not digitally, which is very rare these days. In post, everything was scanned in at 2K and then up-converted to what we have now on the discs. Now I’ve watched the standard Blu-ray 1080p version and have compared it to the 4K UHD version with Dolby Vision and while there is an upgrade, it isn’t a total uptick. Still, if you have Dolby Vision enabled on your television and 4K Player, the whole image looks beautiful. There is a ton of depth to the picture that really brings out every detail in the show in this wide open west thriller. Colors look incredible with bright blue skies, orange and brown dirt and sand, along with green pastures. It’s a very warm looking show when it’s outside, but when the show turns into the lab underground, things are icy cool. Greens, blues, and silvers pop out more, giving a very modern look to it. It’s a great contrast for sure. Other bright primary colors look wonderful too in the old school wardrobe and deep reds in all of the gory blood and guts. Detail is sharp and vivid as well with every imperfection in the wood buildings and scuff marks on some of the wardrobe. The weapons look intricate as well as all the futuristic technology in the lab. Closeups reveal excellent facial features and makeup effects. Other visual effects never go soft either. Black levels are deep and inky without any crush and the skin tones are always natural. Wanting to see what an older film looked like, I watched I, Daniel Blake from the Criterion Collection. Colors are somewhat subdued in the gloomy weather above of gray and silver clouds with some light fog here and there. Interior shots don’t boast a ton of color either, but that’s a stylistic choice and not a transfer issue. Some of the flannel clothes boast some decent reds and greens, but none of it is very bright. Other buildings have orange and red bricks, which spark up the color palette, but nothing really oozes out deep primaries. Black levels are inky and skin tones are mostly natural, if not a little brighter than normal. Detail is sharp in closeups that reveal the individual short hairs and stubble on Daniel nicely. The bigger sweaters and flannel shirts also show the big stitching too in well lit areas. Wider shots have more grain to it and doesn’t come off as sharp as the closeups, but still makes for a good filmic image. Since the U700 also has 3D capabilities, I strapped on 3D glasses and watched Frankenweeine, which comes with an impressive, demo-worthy 3D 1080p HD transfer. (The 2D version has depth too, but the 3D makes you feel as if you are actually in Burton's world.) It is very realistic and immerses you in each of the settings. You'll feel like you can reach out and touch the characters. The black and white animation is crisp and clear with varying degrees of white and gray along with very deep blacks along the way. The detail is astounding as you can make out every imperfection and every artistic stroke of genius of each texture in the characters and sets. 3D still can be impressive in a few films. This is one of them. So what about the streaming services? If you don't have an AppleTV, Roku, Fire Stick, or Smart TV, then you can use the X700's App service to download any of the streaming services. With most Smart TVs and Smart Blu-ray/4K Players, the upload/download time and refresh rate is a bit longer and slower to start up than an AppleTV or any of the competition. Where it might take you just a couple of seconds to pull up a movie on Netflix through an AppleTV, the X700 takes significantly longer. When pulling up Hold the Dark, it took about 10 seconds to start and that's with a wired LAN connection. I'd imagine it would be longer if it was wireless. There was a few seconds of buffering before it leveled out, but after that, the film looked incredible. This is a very cold looking film with a ton of ice and blue-skies. There are a few scenes that are warmer with orange and yellow lighting in interiors, which look great, but otherwise, the different shades of blues, whites and other colder colors all look excellent here. There were no real problems with the streaming service with the exception at start up. 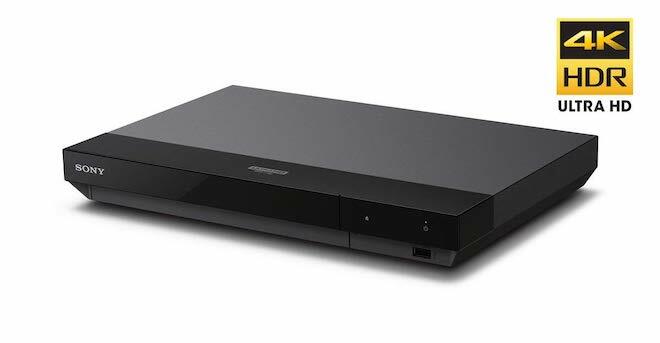 The Sony UBP-X700 is a great option for your next media player. It plays 4K Ultra HD Blu-rays with Dolby Vision and HDR10, Blu-rays, 3D Blu-rays, DVDs, CDs, and SACDs. Or you can download your favorite streaming services to it and playing music or films wirelessly. It's small, light and easy to use. On the other hand, there is no LED screen and there is no Bluetooth capability, which if you spend about $50 more, you'll get that option. If Bluetooth doesn't bother you, then this Sony is a perfect choice and comes with a ton of bells and whistles. It's also easy to fit in those hard to reach places. Recommended!